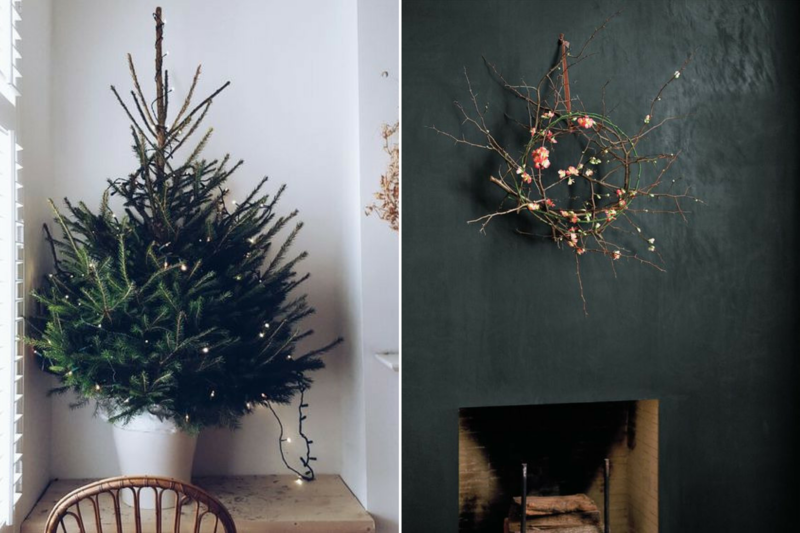 This year it’s all about simple natural decorations. You know me and my love of bringing nature in to the home – heck I have an ongoing hashtag project for that! #natureinthehome has currently 41,000 entries – go see! 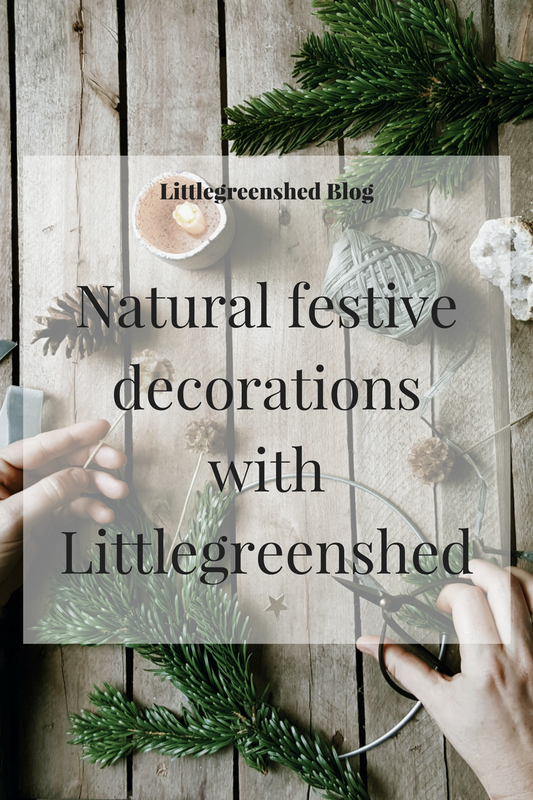 Winter, to me, is the very best time to bring nature in doors and use it as part of your seasonal festive decorating. We do, after all, at this time of year use the biggest bit of nature – the Christmas Tree – as our centre-piece! So what other ways can we use foraged hedgerow finds at this time of year. At first glance, it all seems a bit bare. No flowers, leaves or anything. 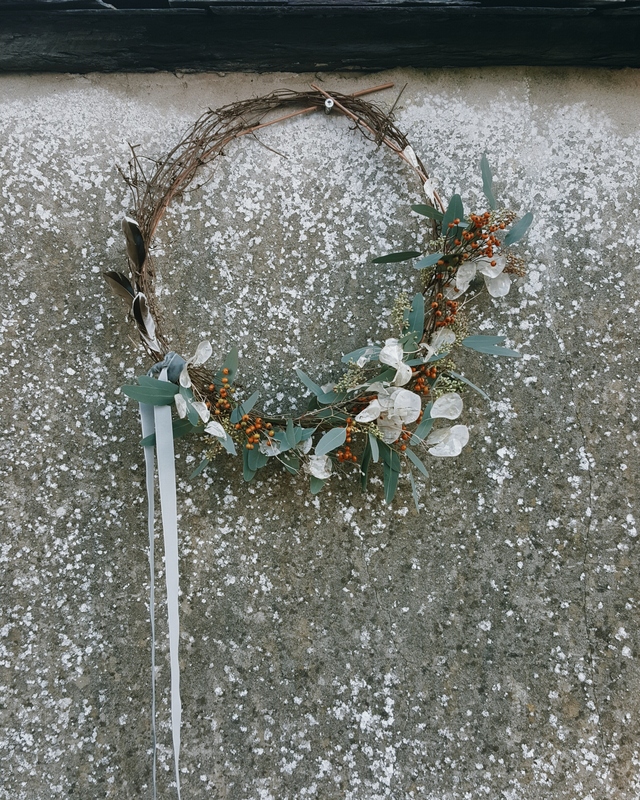 But if you look closer, you will find dried grasses, bleached seed heads, berries, dried ferns, bare branches which can be tied into circles for wreaths. Evergreens are abundant, yew, holly, spruce to name a few. 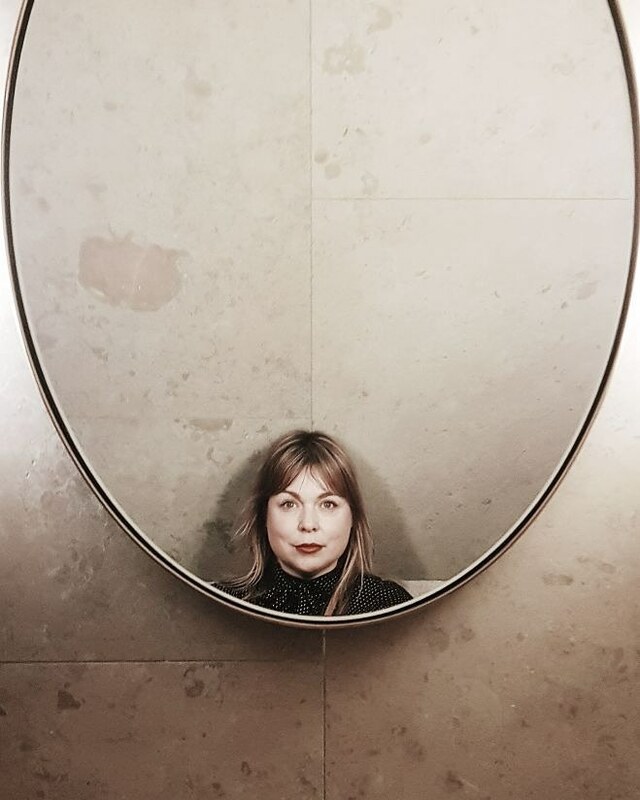 At SISTERHOOD last weekend we were lucky to have resident sisterhood florist, Erin Trezise-Wallace, on hand to guide us through our natural wreath making workshop. Erin had foraged for dried seed heads and grasses, as well as a few choice items from the flower market. Eucalyptus, Olive, Ilex and honesty. 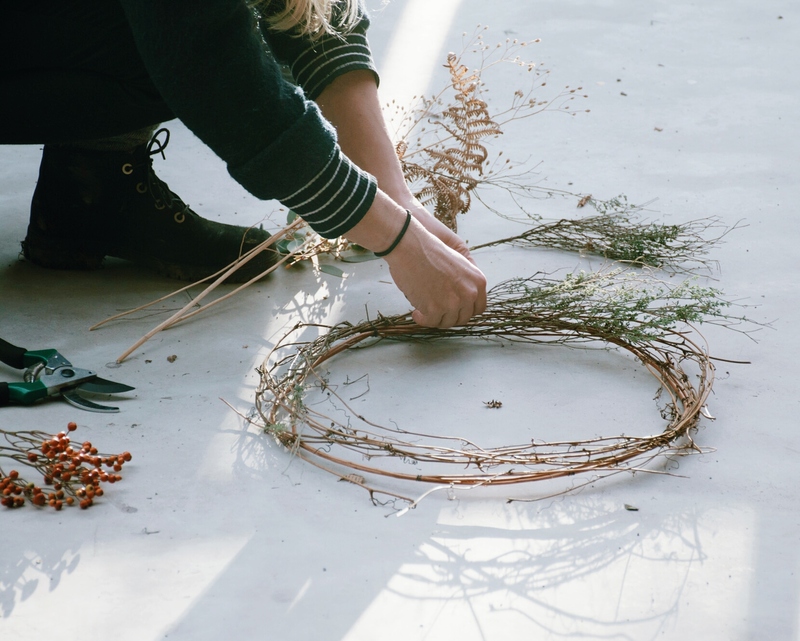 With a a few simple tricks we were soon weaving circles of natural goodness into simple wreaths. My final piece is the top image. It’s simple and I love it. So back home I am looking forward to Christmas, nature will always play a huge part in my decorating. 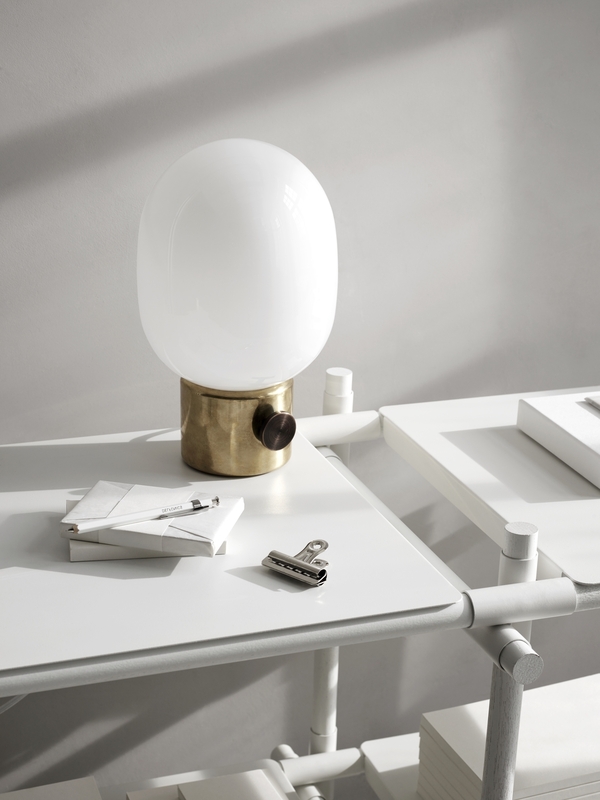 I’ve been doing my usual sourcing for inspiration over on pinterest discovering many images that fit my idea, simple, pared back with lots of greenery and white. These are my favourite images on the board, and if I can achieve the essence of these I shall be happy! (yes that is my Christmas tree from last year! It’s there as a reminder to me, less is more!). 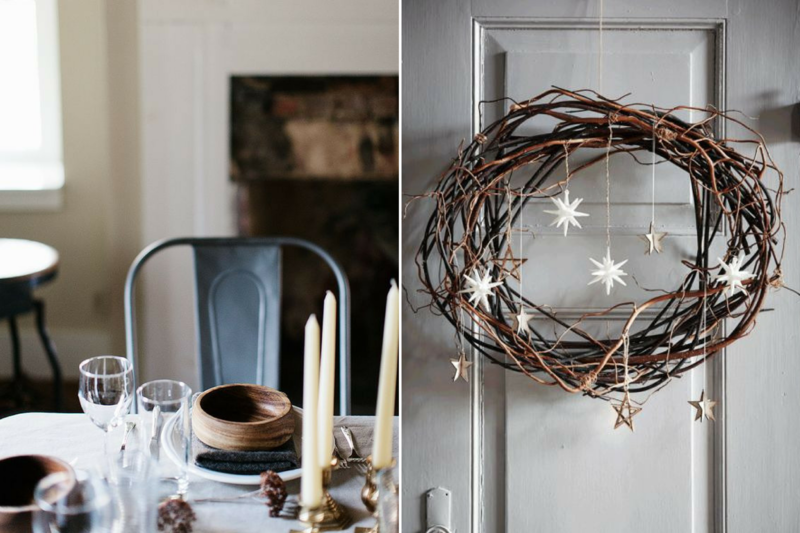 So if you are looking for some simple natural festive inspiration have a look at my new board. Your wreath looks lovely! I made one for Autumn a few weeks back and now I really want to make a more Christmassy one. I’m thinking of starting a tradition of making a new wreath to mark the beginning of each season!